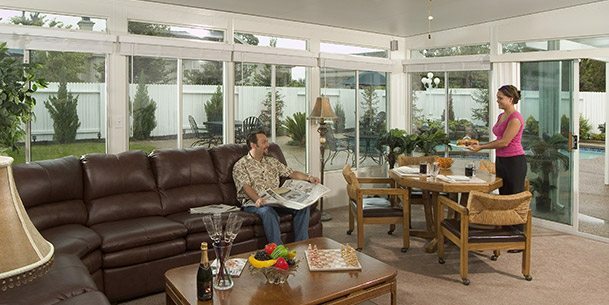 Fall into the sheer elegance and timeless European beauty of Conservatory living. Discover the luxurious design and cultures, distinct appearance rarely found in present-day architecture. 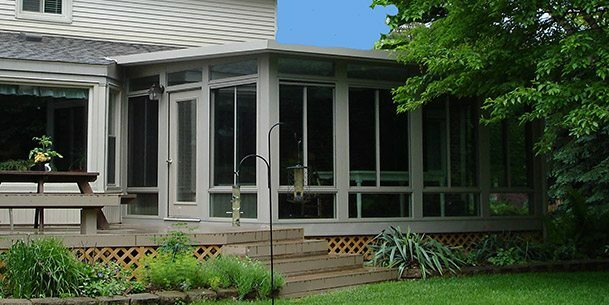 Please read below to find out how Tri-State Building Specialities can build you a beautiful conservatory for your home. Contact us today to get started with a free consultation. Made from 100% pure virgin vinyl as opposed to reground or recycled vinyl. This means the product looks better, lasts longer and does not fade or discolor. Utilizes European vinyl technology. 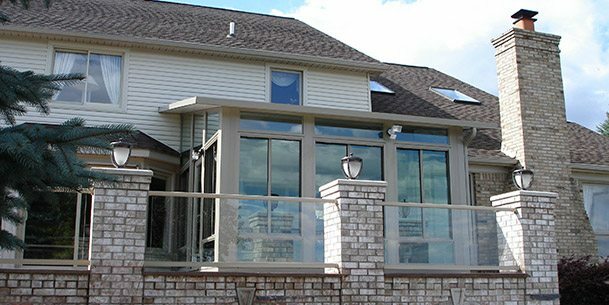 The Europeans have long been at the forefront of developing systems that combine the structural integrity of aluminum withe the clean smooth lines of more thermally efficient vinyl windows. Fully reinforced sections. 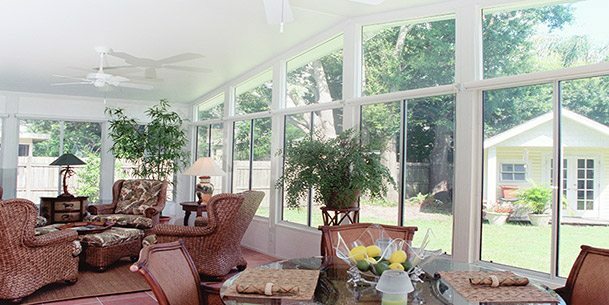 No other vinyl window in the USA has this unique design which gives the product both integrity and strength. Fully sculptured with maximum glass and slim sightlines. Both doors open making it easier to mover large items in and out of the room. Highest safety rating locking systems with 6 locking points. Also available as a single door. The only fully sculptured conservatory system in the world with beautiful detailing. 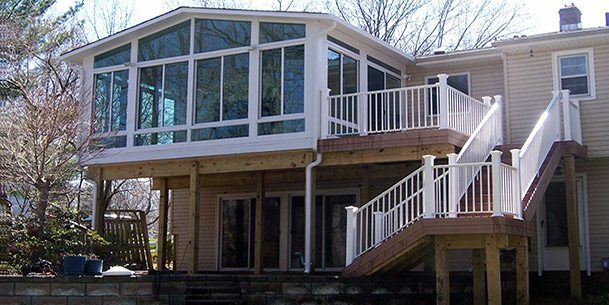 An advanced aluminum core provides structural integrity and ultimate durability. It cannot rust or rot. 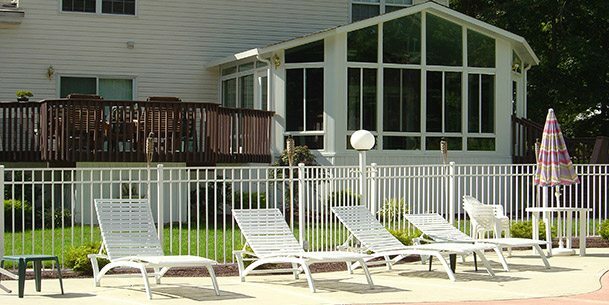 Glazed with our safe and exclusive heat reflective polycarbonate glazing or glass. A decorative cresting and finial echo the architectural splendor of Victoria England. 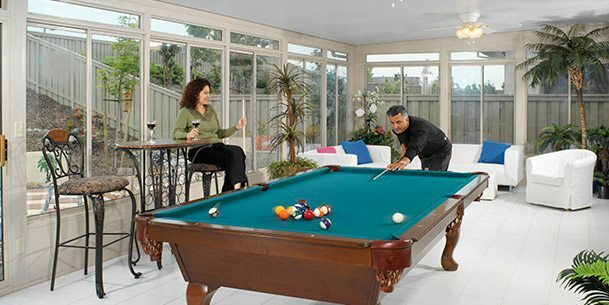 Even though Low E Glass works well in the home, a conservatory is entirely different. Probably 80% of the walls are glass so a glazing with even greater levels of performance is called for. A glazing such as Celsius Performance Glass. Celsius Performance Glass takes normal Low E glazing technology and magnifies it with amazing results. Single pane, clear glass. Used primarily to upgrade a screen to a basic enclosure. Unfortunately however, it does nothing to keep the heat out.